You know me, I'm a sucker for nail art and nail innovations of any kind. Lately I've been dabbling in Christmas nail art, magnetic polish and leather-look nails to name a few, all of which I've been really impressed with. 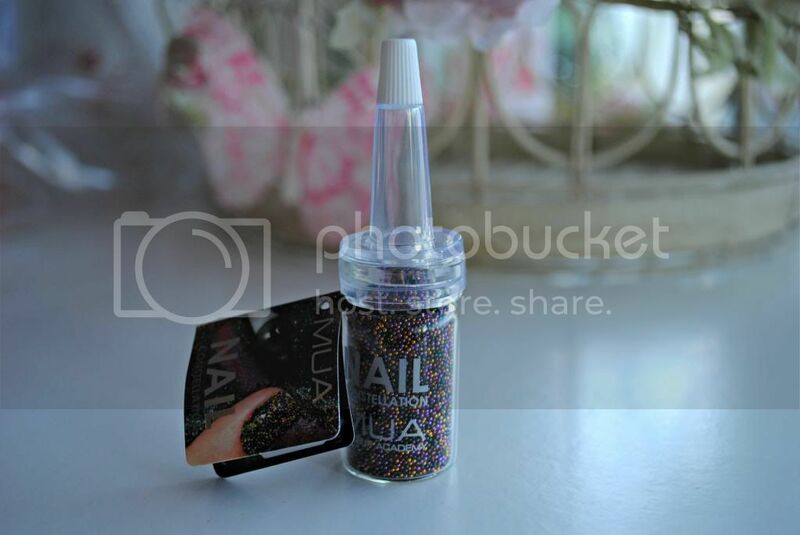 So when I spotted this MUA Nail Constellation in my local Superdrug I couldn't resist. I loved the colour combination, and having not yet dabbled in the world of 'Nail Constellations' or 'Caviar nails' or whatever else you want to call them, I decided for £3 I couldn't really go wrong. Silly me. Okay, so the idea with the MUA Nail Constellation is that you apply a normal polish first (ideally that goes with/compliments the colours of the little bead things) and then (with the polish still wet) sprinkle the beads on top. Easy peasy, right? Wrong. I don't know why this didn't really cross my mind before purchasing, but these things are MESSY. 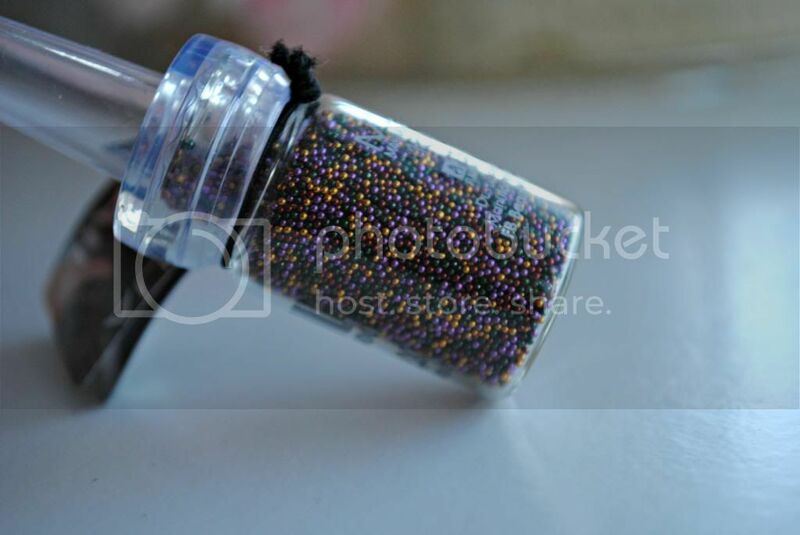 You need to sprinkle the beads with your hand in a container/bowl of some kind so they don't end up EVERYWHERE. Then you sprinkle them on to your heart's content and it sort of works, they stick to the nail. The results, however, aren't that great. I found they looked pretty messy and haphazard which I guess is kind of the point, but I don't really think I'm a fan of it. 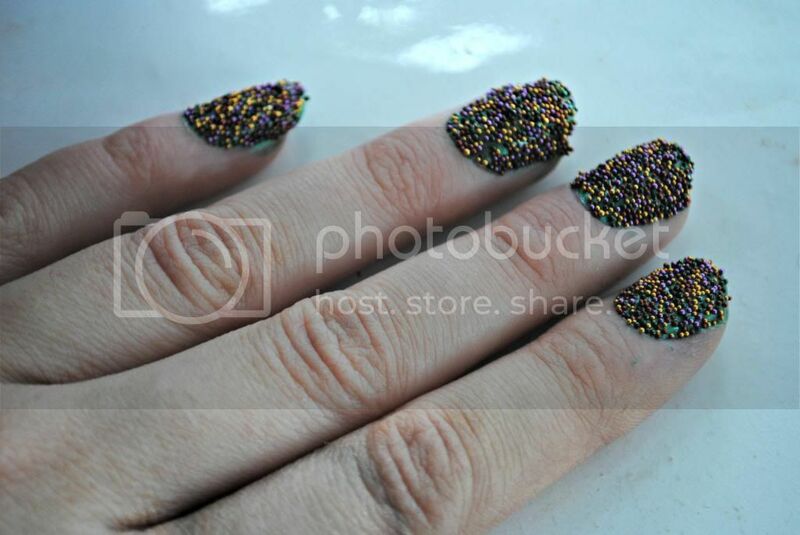 Part of me wants to love these nails - they scream sweet shop sprinkles (seriously, some of the other designs look so pretty on the website) - but the texture of them and the fact I felt like beads were going to pop off any second, even once they were dry, really riled me. In fact, an hour or so after applying them I ended up smudging the beads on one hand off simple putting my coat on, so I don't think they stick to the polish very well. Overall I'm pretty disappointed, and as much as I WANT to love them, I probably won't be using these again. 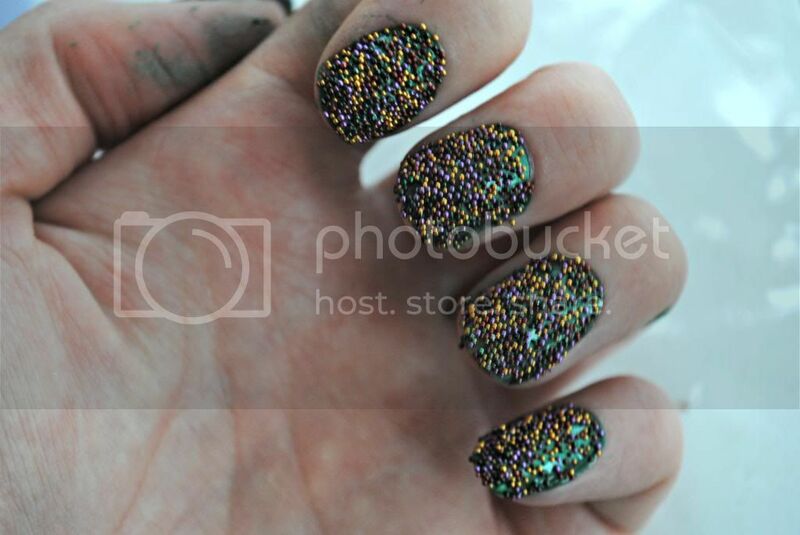 Has anyone else tried MUA's Nail Constellations? How did you get on? I'd be really interested to know!